Better quality and higher productivity are the incentives for molecular genetics of forest trees. 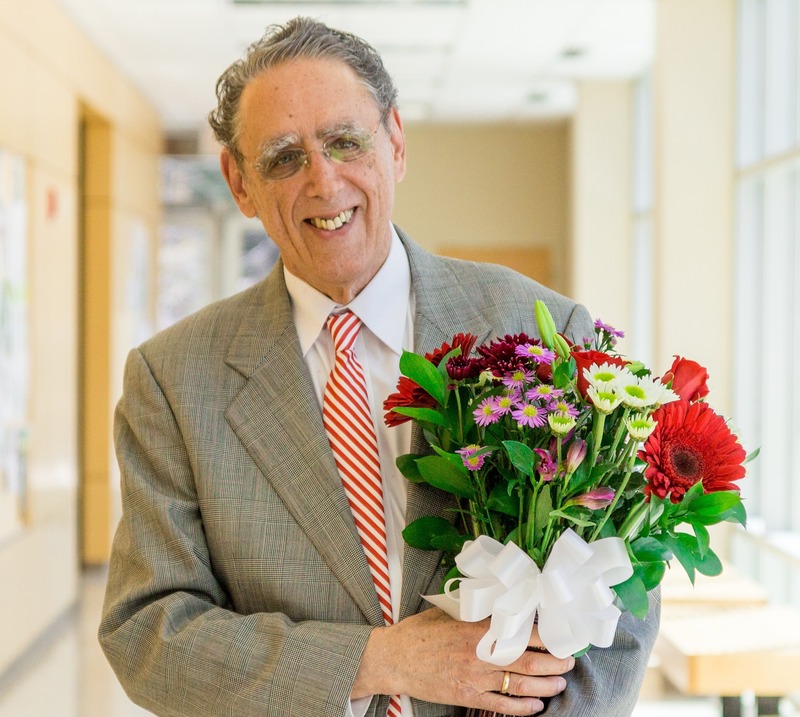 Ronald R. Sederoff is awarded the 2017 Marcus Wallenberg Prize for his breakthroughs in developing methods for gene discovery in conifer species and exploiting new breeding technologies for improved properties. Professor Ronald R. Sederoff, North Carolina State University, USA, was one of the first scientists in the field of molecular genetics of forest trees. From the early 1990s he was involved in almost all the early studies on genetic modification of conifer trees, quantitative genetic studies and later also tree genomics. For his discoveries Ronald R. Sederoff is awarded the 2017 Marcus Wallenberg Prize of SEK 2 million. Ronald R. Sederoff has explained that the purpose of his work is to better understand the biology of forest trees and to use this information to accelerate breeding. He established in 1988 the Forest Biotechnology Group at North Carolina State University to concentrate on the genetic basis of quantitative traits in trees. Until then tree breeding had focused on understanding the inheritance of different traits, without directly caring about the actual genes that determined these traits. Ronald R. Sederoff was one of the first tree geneticists trying to link biological properties with genetic information in trees, so called genetic mapping, using the newest markers available to identify important properties like rust resistance, tree growth and wood quality. His group has been actively working on sequencing pine and American chestnut genomes. His group has also specialized on the molecular basis of the structure of wood to investigate the biochemical and genetic basis of cell wall formation. Their focus is on the pathway for lignin biosynthesis and cell wall structural proteins. Ronald R. Sederoff has provided the forestry sector with new methods and applications for tree breeding and valuable information to be used in the restoration of for example the American chestnut, which is today on the verge of extinction due to a devastating fungal disease. Several of the inventions in his group have been granted patents in the US. 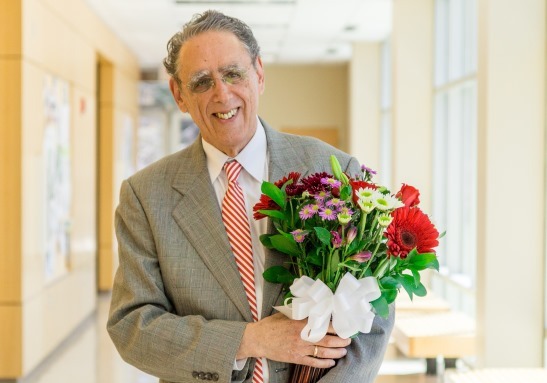 The Prize Selection Committee of the Marcus Wallenberg Foundation states in its motivation that Ronald R. Sederoff’s work has a major impact on the field of forest molecular genetics. Improvements in forest tree breeding for enhanced productivity resulting in a more rapid genetic gain are among the most obvious benefits of the work in his group. “Forest biotechnology is a rapidly developing field with many bright investigators, new innovations and highly interesting publications. Recent advancements in genomics and gene editing technologies will make the field even more important in the future”, says Professor Gunilla Jönson, chairperson of the Marcus Wallenberg Prize Selection Committee. The Marcus Wallenberg Prize 2017 will be presented by HM the King of Sweden to Ronald R. Sederoff at a ceremony in Stockholm during October. Ronald R. Sederoff, born in 1939, received a Bachelor of Arts in Zoology in 1961 at the University of California, USA, where he also received a Master of Arts in Zoology in 1963 and a Doctor of Philosophy in Zoology in 1966 – both in Genetics. He was 1967-1969 a Post-doctoral Fellow at the University of Geneva, Switzerland, and 1969-1975 Assistant Professor at Columbia University and in 1975-1978 held Associate and Assistant Professor positions at the University of Oregon. For the next two years he held a Senior Scientist and Plant Molecular Geneticist position at the USDA Forest Service. In1987 he became a Professor in the Department of Forestry and Environmental Resources at North Carolina State University, where he also held associated faculty status in Genetics and in Molecular and Structural Biochemistry. He is currently Emeritus Distinguished University Professor and Edwin F. Conger Professor of Forestry and Environmental Resources at North Carolina State University. Professor Sederoff was in 1995 elected to the National Academy of Sciences, USA, appointed Adjunct Professor Nanjing Forestry University in 1997, appointed as an Honorary Research Professor, Chinese Academy of Forestry in 1998, elected as a Fellow of the International Academy of Wood Science in 2000, became a Fellow of the American Association for the Advancement of Science in 2003 and was awarded an Honorary Doctorate from the Swedish University of Agricultural Sciences in 2004. The purpose of the Marcus Wallenberg Prize is to recognize, encourage and stimulate path breaking scientific achievements, which contribute significantly to broadening knowledge and to technical development within the fields of importance to forestry and forest industries. The prize will be awarded at a ceremony in October 2017, in Stockholm, Sweden. Download Announcement photo 1 in high resolution. 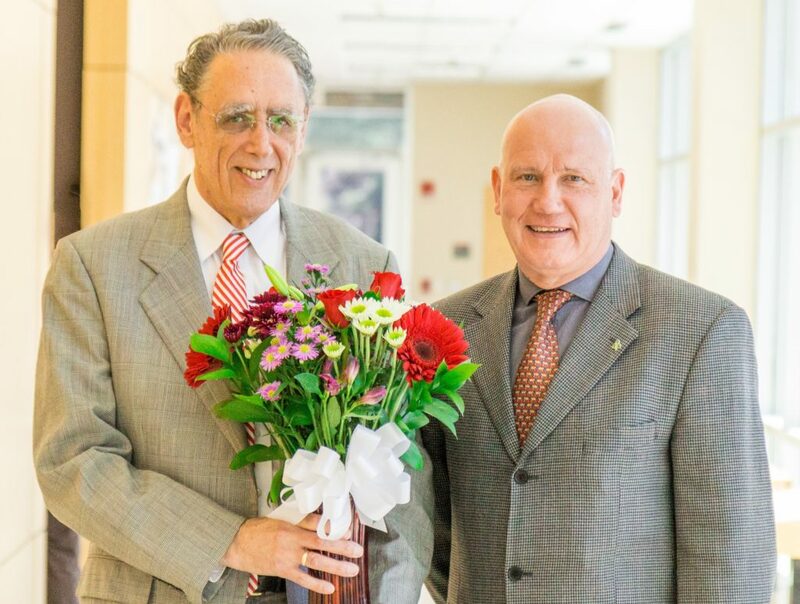 Ronald R. Sederoff, recipient of the 2017 Marcus Wallenberg Prize, and Jack Saddler, member of the MWP Selection Committee. Photo: Mitchell Costa. Download Announement photo 2 in high resolution. Ronald R. Sederoff, recipient of the 2017 Marcus Wallenberg Prize. Photo: Mitchell Costa.